It’s Australian Dental Association’s Dental Health Week here in Australia (August 5-11) so it’s timely that we should have Dr Amy Daley of East Brisbane Dentists back with some tips on teeth brushing. The Australian Dental Association website has some great resources for parents and teachers, the posters here are particularly good. Cleaning your teeth before bed is as important as reading your books before bed in this house. We have a super sized poster in the bathroom from Aunty Amy, also our dentist, andPudStar loves referring to it as she’s brushing her teeth and bossing us about how to brush our teeth. Next to this poster we also have PudStar’s ‘Princess with Cavities’ picture she created last year. Thanks to Aunty Amy PudStar is rather into all things teeth but when she drew a princess then added cavities to her teeth…well we have got more than a few chuckles out of this picture. Most importantly parents - don’t be discouraged and don’t give up. Winning the sometimes nightly tooth cleaning battle has long term ramifications which will set your child up in a healthy routine, and healthy teeth, for life. 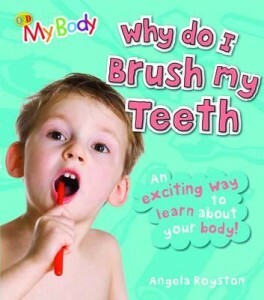 These books are perfect for encouraging small children to brush their teeth! They can be purchased by clicking on the title. This is the third in a a fabulous little series which started with ‘Ella Kazoo Will Not Brush Her Hair’. In this one Ginger McFlea will do anything to not clean her teeth….even at the risk of looking something like PudStars ‘Princess with Cavities’. I’ve regularly pulled out one of the beautifully rhyming lines from this book as I stand in the bathroom coaxing Pud to clean her teeth…it is one of those book which stick in your head and on a topic such as this that’s a bonus! We have all in this series…but this is ChickPea’s favourite and is a great one for learning all about the teeth that animals have. 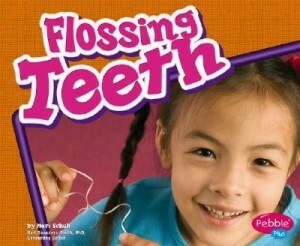 It’s perfect for one years + as an introduction to teeth! 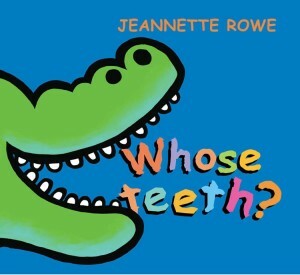 We read this book rather endlessly before PudStars first trip to the dentist…which was still a bit of a disaster! You can read about that trip here.